Any new technology that has the potential to change the way humanity lives has always created a huge amount of debate. And this is especially true for Artificial Intelligence. The debate over AI is never-ending. Researchers, thinkers, IT professionals, even the average layman has polarizing opinions on AI and its potential impact on humanity. The list goes on and on. But a recent study seems to provide a conclusion to this debate. Automation threatens 8 million jobs by the end of 2030 but at the same time technology is all set to create more jobs than ever. Artificial intelligence is not purely destructive. New jobs will be created, existing roles will be re-built, and switching careers will be a great opportunity, says a report. Reports claim that over 30% of jobs are under potential threat with some people already losing their jobs. Digging in deeper, we establish that AI technology will also create over 2 million job opportunities worldwide by the end of 2020. While there is cut-throat competition across all jobs, machine learning and artificial intelligence jobs face substantially less competition. These specialized engineering jobs are on a rise but still remain vacant. The critical factor is the scarcity of skilled talent. This report talks about why is it necessary for IT professionals to upskill to stay relevant. The AI research spectrum is expanding. From autonomous cars to models for cancer detection, the use cases are touching almost every segment. At the same time, there are a plethora of platforms offering degrees and certifications in AI, Machine Learning, and Deep Learning but the number of potential employees for the same is very less. Robots and machines are becoming smarter with artificial intelligence and are taking over time-consuming, manual labour based jobs which might be threatening but we need to address the fact that this has been an on-going process. In the early 60’s, we would reach out to the nearest branch to withdraw money but with ATMs in place, the process is fastened. 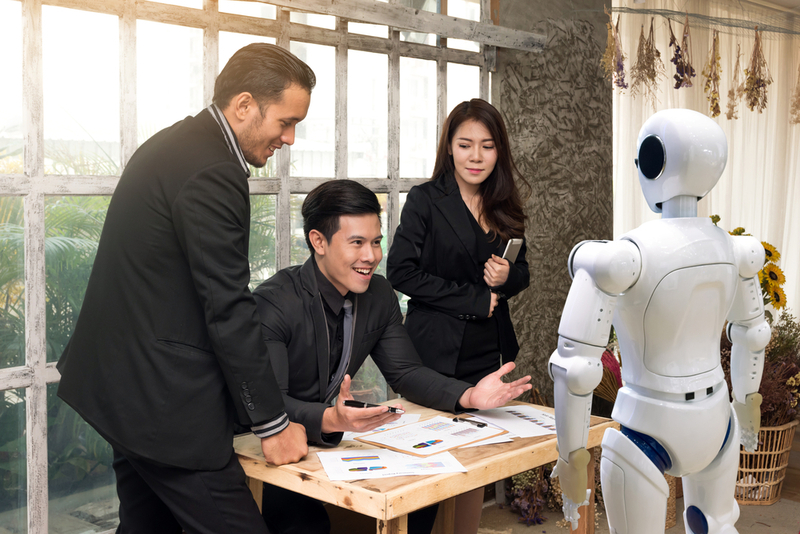 According to a report by the World Economic Forum, 50% of tasks in the workplace will be automated by machine by 2025 compared to 29% as of now. Nearly 50% of companies predict their workforce to reduce by 2022 but at the same time, automation is expected to create new roles in the industry. Another key takeaway is that the demand for roles varies across regions.